The Akita Inu (dog) hails from the island of Honshu in the region of Akita, Japan, and has been used for everything including guarding, hunting, fighting, and police work. One Akita was also used to help raise an orphaned tiger cub at the London Zoo. They knew the Akita would not be frightened and could engage in play with the tiger cub because his dense fur would protect him from the sharp claws of the cub. This Akita provided companionship and protection for the cub until the tiger reached adulthood. The Akita is considered sacred and a good luck charm in Japan. Small statutes of an Akita are given to new parents after their babies are born as a gesture of good health and to sick people as a gesture of speedy recovery. The Akita is a strong, courageous, protective and territorial dog. They can make great family pets and are considered gentle and protective with children; however, some Akitas are aggressive and need to be supervised around young children. They are also “food aggressive” so care needs to be taken to keep kids away from food while the dog is eating. 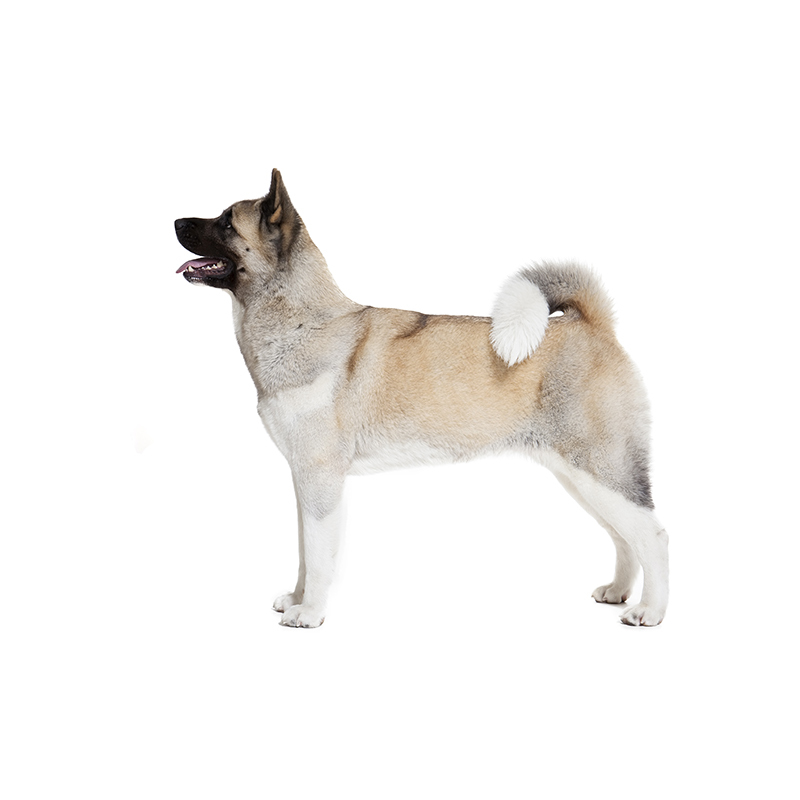 The Akita is intelligent, bold, and loyal, but they can also be independent, headstrong, and dominant. Obedience training is highly recommended, and with their intelligence they are highly trainable. They are also known to house train fairly easy. Akitas only bark for a good reason; however they do grunt, groan and mumble trying to communicate with you. These dogs are very devoted and loyal protectors of their family. Akitas usually weigh between 90 to 110 pounds and stand approximately 24 to 28 inches tall. They are a large dog with a very stocky and powerful build. Their coat is thick and heavy and comes in a variety of colors.